Color coded, polyester roundslings are light weight and flexible as well as being easy to load. They are also color coded to help you identify the correct size sling for the binding load. The slings also have a very high strength and have a long life span. Polyester slings flatten against your load for a good grip and can help to resist light, grease and most acids. With roundslings you can do anything from boat handling and cargo loading to moving heating units and electrical equipment. The features and technical data of these polyester roundslings are featured on our website. 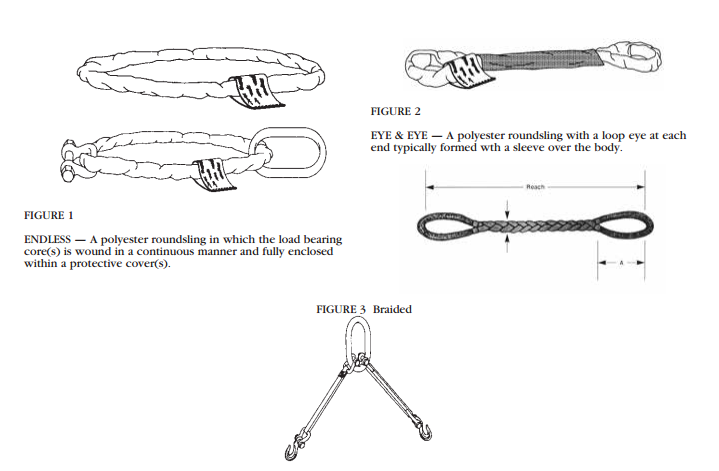 Our website also offers diagrams to help you figure out what type of sling will work more efficiently for your job. Remember to determine your weight load and then select a polyester roundsling that has suitable characteristics for the type of load, hitch and environment you are working in. Please be sure to also download out specification PDF for additional information.